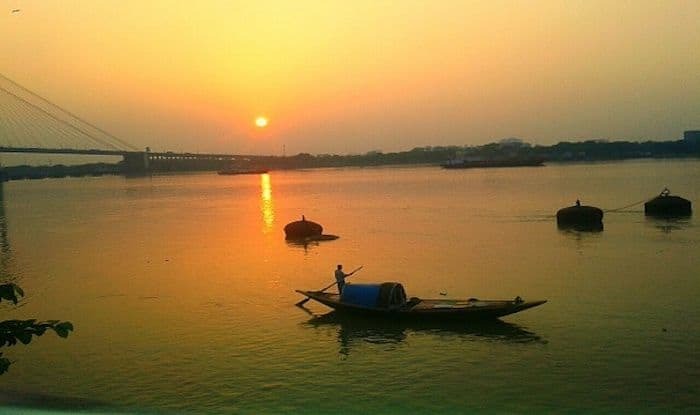 Most of Kolkata's beauty can be attributed to river Hooghly and the many ghats. The highlight of Prinsep Ghat is the beautiful Palladian Porch built in the memory of the Anglo-Indian scholar and antiquary, James Prinsep. Its artichecture lends a rather colonial vibe to the place, and it’s quite something to see the sun go down with the bridge in the background. Babu Ghat, originally known as Baboo Raj Chandra Ghat, is one of the oldest ghats of Kolkata. The entrance to this ghat is built in a fine Doric-Greek style; a rather gorgeous pavilion with huge pillars. If you’re looking for a peaceful time by the Ganges, Outram Ghat at Strand Road is highly recommended. The history of this ghat can be traced back to the British reign in India. It’s always been a favourite among people for an evening rendezvous or a nice walk along the river. Apparently, Armenians were said to be the first foreign settlers in Kolkata. Built in 1734 by an Armenian trader, Armenian Ghat is this elegant ferry ghat famous for its flower market. It has a rather buzzing vibe, with the vendors selling different things. Nimtala Ghat is known for its crematory located at Beadon Street. It’s similar to Manikarnika Ghat in Varanasi; and has a rather special significance. If you’re interested in history, you must visit the Rabindranath Tagore Memorial in the crematorium compound here.